We love getting involved in the communities we build in and can think of no better event to celebrate with our homeowners than Canada Day. Join us at one of the many Canada Day events taking place this long weekend across Southwestern Ontario. The 26th annual celebration will feature a community breakfast, parade, inflatable rides, shopping and plenty of food. Fly down the huge slide, bounce away on a jumpy castle, or find your way through a challenging obstacle course. Stroll the grounds shopping for unique items, and enjoy traditional festival food. In addition, Caledonia Canada Day will boast a main stage of the best local entertainment. A huge fireworks display takes place over the Caledonia Fairgrounds at dusk. Empire is excited to sponsor this annual event, and we hope to see you there. Canada Day in Niagara Falls has been a tradition for over 30 years, bringing our entire community together for residents and visitors alike to enjoy and share the special bond of living in one of the greatest countries in the world and celebrating our freedom, values and diversity. This special celebration, presented by the Niagara Falls Canada Day Planning Team, is the largest Canada Day celebration in the Niagara Region and one of the largest Canada Day Celebrations in Ontario. On Sunday, July 1st join the City of Thorold as we celebrate the 151st Canada Day with a community celebration in the Battle of Beaverdams Park in downtown Thorold. There will be children’s activities, family friendly fun, entertainment and fireworks! Come dressed in red and white to celebrate our great Nation. 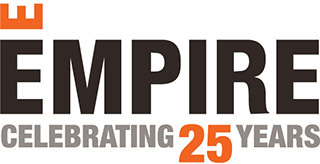 Empire is excited to sponsor this annual event, and we hope to see you there. The City of Hamilton celebrates Canada Day with all day live entertainment, food vendors, Family Zone, artisanal craft vendors and more, ending with an epic fire work display at 10pm. Brantford’s July 1st Canada Day Celebration is notorious for its stellar lineup of events and entertainment and this year is no exception. Bands set to perform on the main stage include, Pretzel Logic, Johannes Linstead, The Ones, Freedom Train, Lee Harvey Osmond and headliner, 54.40. plus, the Young Canadians Area will welcome performances and meet-and-greets with Bob the Builder, Rubble from PAW Patrol, Masha and The Bear and entertainment courtesy of The BarryO Kidshow and 30 Dollar Weekend. We hope to see you out and about this long weekend celebrating and wish everyone a safe and happy Canada Day.